Ian Kirby leads the dispute resolution team at Carpmaels & Ransford, focusing on multi-jurisdictional patent litigation and IP disputes. Mr Kirby has nearly 25 years’ experience in litigating and resolving cases before the English Patents Court and other IP courts – including the Intellectual Property Enterprise Court – as well as the English appeal courts. He frequently advises on matters across the Atlantic and into continental Europe, and is at his happiest when faced with complex commercial problems. As well as litigating disputes in all areas of IP law, Mr Kirby is a strong user and supporter of alternative dispute resolution and is a member of the World Intellectual Property Organisation List of Mediators. 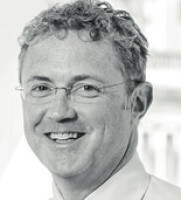 Whether preparing witnesses for trial or bringing together two warring parties, Mr Kirby pays attention not only to the legal and commercial issues, but also the psychology of the dispute and the parties in striving for success either at trial or through a negotiated resolution. Mr Kirby is known for his pragmatic, clear and direct approach to managing, resolving and handling disputes. He also maintains strong relationships with his Carpmaels litigation colleagues, as well as the specialist external IP barristers. Despite the stresses and tensions caused by major litigation, his relationships with many of his clients have been longstanding; no job is too small or trivial, or too large and unwieldy, for Mr Kirby and the Carpmaels team to handle. Mr Kirby was Carpmaels’ first litigation partner and during the last 20 years he has litigated high-profile patent cases concerning monoclonal antibodies, voice recognition technology, audio and many other technologies. He has also litigated globally famous copyright cases for the world’s largest publisher and trademark and passing-off cases that have tested the boundaries of the law. As a result, he has acquired the trust of clients such as The Walt Disney Company, GSK, Orange, Teva, Shire, Penguin Random House and the Estate of Michael Jackson.